Hard, cold facts, whether we like it or not. 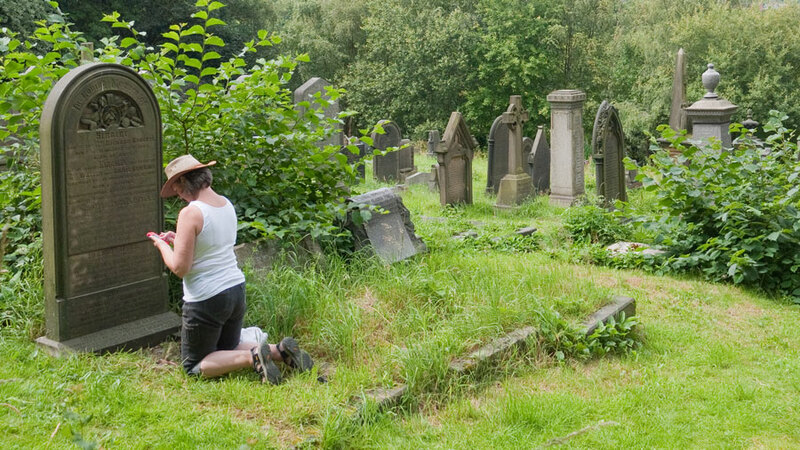 It’s clear to me that death’s not the enemy many people make it out be – while not living while you can IS! I know I’ve blogged about this subject before, and I’m sure I will again. I make no apology for wanting to help people to embrace life in whatever way is possible. That’s why I’m a Life Coach! I recently had the opportunity to attend a close family member’s funeral in a ‘virtual’ capacity. This meant I could see what was happening, watch everyone there (though admittedly they did appear a little fuzzy), and hear the words they’d each chosen to remember the person by, and then watch a slideshow of images of their life through their family and friends’ eyes. I was neither seen nor heard, but people there were aware of my presence. It was amazing, the wonders of modern technology never cease to astound me. I felt that if there’s any possibility at all of us watching over our loved ones after our demise, and listen to how they ‘saw’ us during their time with us, it could look and feel a little like that. This really got me wondering what my own funeral may look and sound like, if I were to leave this earthly body today, tomorrow, next week or next year. What would my loved ones say? What images of my life would they choose? Have I made a positive difference to people’s lives in some small way? Have I grasped available opportunities to make the most of my life? Have you ever taken some time to imagine what YOUR loved would ones say about you? How would it feel to take some time to sit and reflect on your life to date? Are you following your heart’s desires, or holding onto frustrations and regrets from the past – maybe there’s things you want to do, places to visit, people you want to meet? One of the people speaking at the funeral told a story about something that had happened many years ago, that they’d not felt able to share with the person before they died. Is there anything you’re holding on to, that you could share with someone close to you NOW, instead of leaving it until after they’re gone? Do you love the work you do, the people surrounding you day-to-day, and the life you’re leading? If so fantastic. Hold onto it. Enjoy the feeling. Celebrate each morning with a smile and an intention to share that peace of mind and happiness with others. Conversely, if you have to drag yourself out of bed each day, and turn up to your current ‘job’ expecting to have an awful day/night, or wish each day for a different life, then maybe it’s time to consider how you can change either your job, your location or your attitude? I know an amazing coach who could help with the ‘job’ aspect – The Dream Job Coach , Louise Jenner – if that sounds like you! I believe there’s always a solution, sometimes we’re just looking in the wrong place. I’d like to think that seizing the day and living fully are values I’ve held dear and lived by whenever possible. Of course it hasn’t always been so. When I had a large mortgage and two children to bring up as a single parent, my options were fairly limited. At the same time, I do feel I took opportunities to spend time with friends and family, to travel to places I’d never been before, to delight in experiences that cost little but gave much. I did still though allow parts of my ‘her’story to limit me for many years. Maybe I continue to do so occasionally, but I’m certainly much more aware of this happening now and so able to change my thoughts accordingly. Having been coaching clients for three years now, and undertaken my own life-changing coaching journey, a few common themes stand out to me which people often allow to limit them living fully. Change to the person you want to be – Rather than believing that in order to be happy someone in your life needs to change, always remember that the only person you can change is YOU. People around you will mirror your reactions, your attitude and outlook on life. If you want more happiness, peace of mind and love, then be happy, peaceful and loving. Get over your self – We all have a story, the messages and images from our past that we allowed (and often continue to allow) influential people to give to us. Listening to these stories as a life coach is an honour. It’s also amazing how similar these tales are – we keep them locked inside of us most of the time, imagining ours must be worse than anyone else’s, because they’re leading such a happy life they must’ve had a wonderful childhood. Generally this is not so! It’s all a matter of what we do with what and where we’ve been, and who we’ve yet to be. Seize each day – If not now, when? 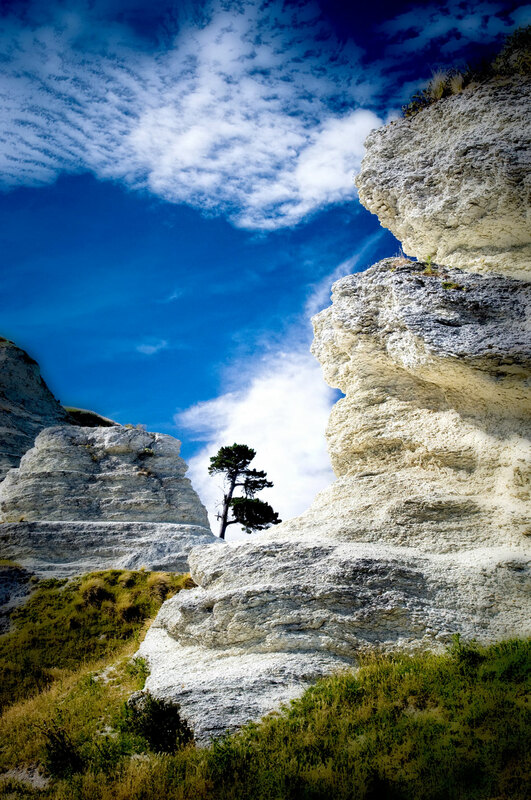 What is it that you’ve always wanted to do, and keep saying “One day I’ll …”. What one small step can you take, TODAY, that will lead you to where you want to go. Imagine the outcome you want, see it as if it’s really happening to you, then break it down into manageable chunks. It’s like that old saying of how do you eat an elephant? One piece at a time. Most things are possible, once we take the I’M out of IMpossible. If you want any support to change your story and increase the chances of your life story sounding the way you want it to, if you were able to listen in at your funeral, don’t hesitate to get in touch with me. And feel free to share a short eulogy of your life to date below – and/or how you intend to change it. I had a phone call this afternoon from someone who’d read a blog post of mine “How to push past fear to awaken and liberate your life“. Nicola, the caller, is searching for people to take part in a TV show. They’re seeking anyone who fits their criteria, from around the world. What an amazing opportunity to push past your fears! 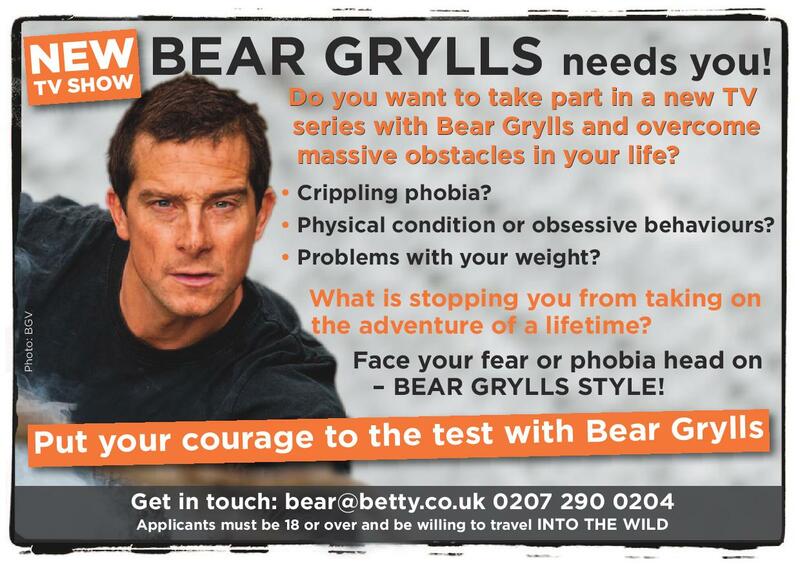 “Do you want to take part in a new TV series with Bear Grylls & overcome a personal obstacle in your life? Television production company betty are currently making a brand new series for Discovery International. They are carrying out a worldwide search, for people who may be interested in participating in this new show with world-famous adventurer, Bear Grylls. The series sees Bear travel to a remote and wild location with a travel companion, who has a personal challenge they wish to overcome. These companions are not survivalists themselves, but rather real people who have stories to share and the urge to overcome their individual hurdles, to regain confidence within themselves. Contact Nicola.Barnes@betty.co.uk if you’re interested, or share this post with anyone who you think may be interested – it could be life-changing!